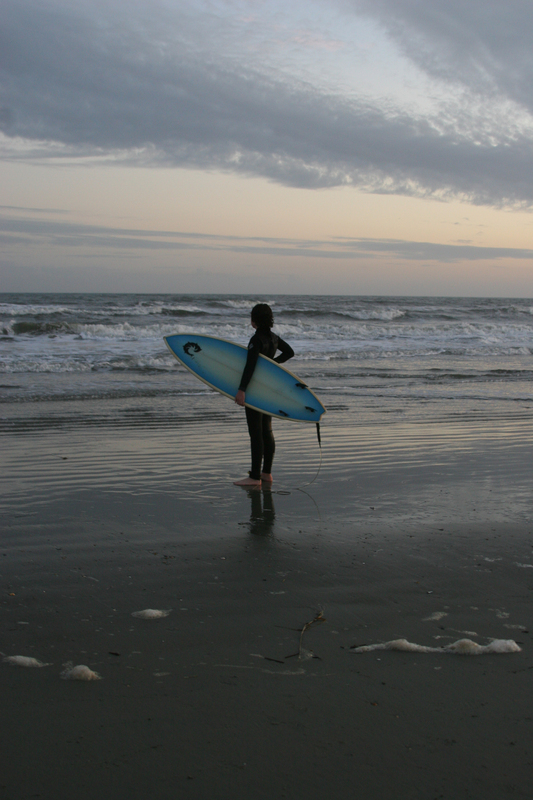 Many years ago I took my son to the beach to surf and snapped this photo. It was a cold morning and he was pumped to get out there in his wet-suit to enjoy the ocean he so loved. We had moved to the beach from the mountains of Virginia so the joy of not having to wait for a vacation to see Grandparents and visit the beach was heaven to him. He wanted me to take my camera so I could get a few shots of him catching a wave. This photo was taken moments before he heading into the water. I love how he is taking it all in! To this day, my now 24 year old son, still puts on the wet-suit on those cold days and heads to the beach for some time in the surf. I just don’t have to drive him anymore. This entry was posted in daily prompt, Inspiration, Photography, Reflections and tagged daily prompt, photo challenge, weekly photo challenge. Bookmark the permalink. Great shot! What a wonderful memory for you and your son! How sweet a memory! Alec grew from an adorable young boy into a loving and caring gentle man. As his grandmother I could not be more proud of him. And my pride in you and your siblings knows no bounds as well.